Summer is the season to ditch the brown liquor in favor of something bright and refreshing, capable of cutting through hot afternoons and long, leisurely evenings of drinking. 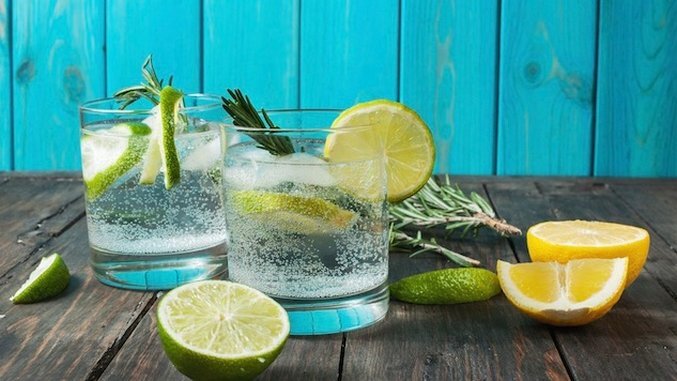 Gin is the ideal seasonal companion, thanks to its citrus and juniper backbone that mixes well with bubbly tonic, light mixers or just a glass of ice. There are plenty of tried-and-true gins on the market, whether you prefer London dry style or a more American take. Along with the old favorites, several new year-round gins have launched on U.S. shelves recently, ready to liven up cocktails this summer. Here are six to look out for in bars and on store shelves. Glendalough distillery, founded in 2011, bills itself as Ireland’s first craft distillery. After selling its lineup of excellent small batch whiskey in the U.S. for several years, it brought its award-winning Wild Botanical Gin to the States in June 2017. The 82-proof gin is made with fresh foraged flora from the distillery’s surrounding mountains. It brings scents and flavors of juniper, pine, citrus, flowers, and spice. With a cool, crisp finish it’s ideal to sip over ice on hot days or mixing in a balanced and perfumed gin and tonic. Pittsburgh’s Wigle Whiskey already has a great gin—a Dutch-style Ginever with a rye, wheat, and malted barley. Five years after that release, the organic craft distillery has released its Tom Foolery Old Tom Gin. Wigle’s interpretation of the old English spirit uses a wheat build infused with sweet botanicals like vanilla and licorice that are reminiscent of baking spices. It’s then barrel rested for around eight months. The result is a taste that’s less bitter and dry than most gins. Still, at 94 proof, it gives plenty of heat on the palate. Washington, D.C.’s District Distilling launched its WildJune gin this past April as the latest addition to its focused lineup of house spirits and blends. The Western-style is made with wild-harvested North American Red Berry juniper from the mountains of West Texas. In another twist, head distiller Matt Strickland adds hops to the distilling blend, giving the spirit elements of coriander, citrus, lemon, and cinnamon. It’s District Distilling’s second gin, joining its Checkerbark American Dry gin in bars and on shelves. Los Angeles newcomer Mulholland Distilling’s New World Gin is ideal for sipping on sunny Southern California days. The 96-proof spirit takes typical ingredients like juniper and coriander and throws in softer touches like French lavender and Japanese cucumber. It’s also got notes of lime and citrus for a refreshing West Coast sip. It’s rooted in the classic American gin style with enough to interest regular gin drinkers while being approachable for newcomers. Get over to California and get some. New York-based Empire Spirits Projects (ESP) is out to prove—in more ways than one—that juniper doesn’t have to be the dominant flavor in gins. The Yonkers distillery launched in late 2016 and currently offers three gins, each with a different take on the classic spirit. It starts with the American Beauty, a 42% ABV floral gin with coriander, cinnamon, and ginger notes. For something a little more out there, try its smoked gin, which uses applewood smoke along with hints of caraway seeds and peppercorn. The most exotic is the amber-colored Noho gin and its healthy portion of saffron and aromas of subtle sweet spices and juniper. The best part is that each can be ordered online. Hailing from the great north of Minnesota, Copperwing Distilling gin just hit the market in May—but the final product was several years in the making. A gin tasting party, plenty of testing, and even some data collection went into the recipe development. The resulting Original Gin offers a pronounced juniper flavor along with the citrus and floral notes of a classic gin. Try it in a dram or a drink in Copperwing’s on-site cocktail room in its St. Louis Park cocktail room and bar.